Step1 - Clean and wash squid. Rinse thoroughly with hearts and mussels. It is advisable to pour boiling water. Pour water and wine into a large saucepan, put seasonings, onions, bring to a boil. Step2 - Throw hearts and mussels into the water and cook until they open. Remove from the water, do not open the shell and discard. 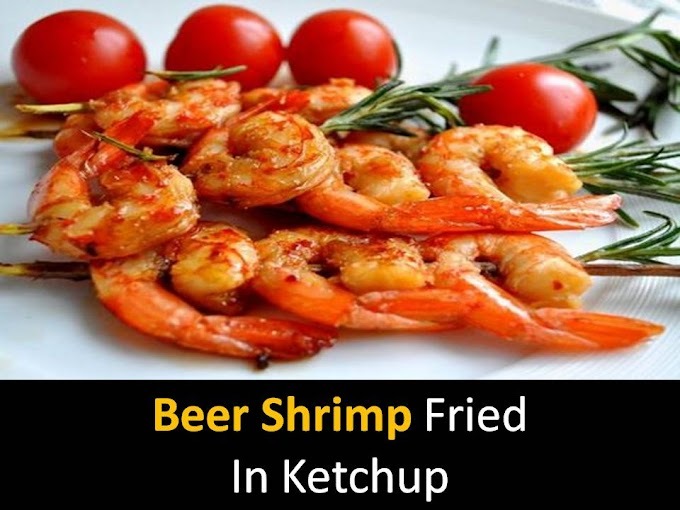 At the end of cooking, throw the shrimp into slightly boiling water. Boil for 4 minutes (depending on size). Step3 - Peel the shells and shrimps. Prepare marinade: combine lemon juice, salt, vinegar, olive oil. Peel and chop the garlic and Put in the marinade. Step4 - Leave to pickle - it will take at least half an hour. Before serving, seafood salad in a lemon juice sprinkles with chopped parsley. 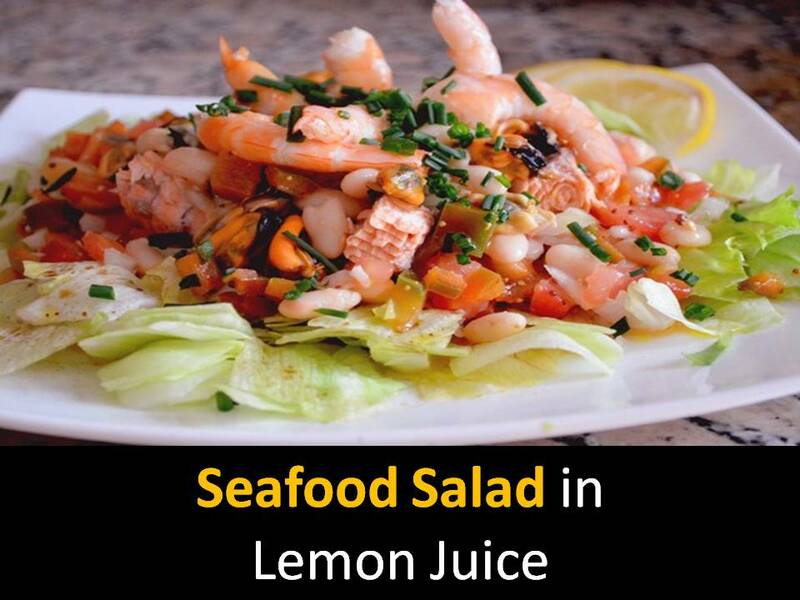 Decorate the salad with lemon slices.